Meg and her mum go to the market with their donkey, but find that listening to everyone else's advice along the way doesn't always make for a smooth journey. This humorous fiction story is based on Aesop's fable The Farmer, His Son and the Donkey and is written by Simon Puttock. * Meg and her mum go to the market with their donkey, but find that listening to everyone else's advice along the way doesn't always make for a smooth journey. This humorous fiction story is based on Aesop's fable The Farmer, His Son and the Donkey and is written by Simon Puttock. * Red B/Band 2B books offer simple but varied text with familiar objects and actions, combined with simple story development and a satisfying conclusion. 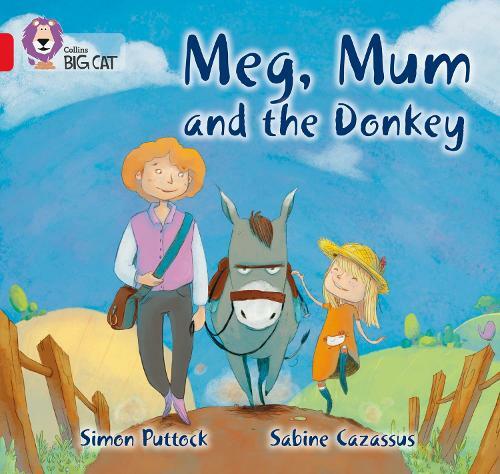 * Children can recap the journey of Meg, Mum and the donkey at the market on pages 14-15.